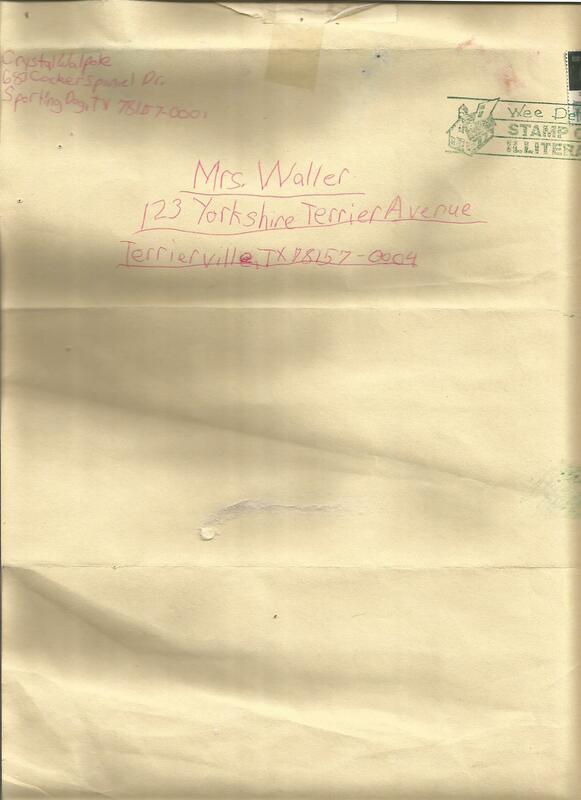 I received the letter pictured below when I worked at Norma Krueger Elementary School’s Scharf Library. 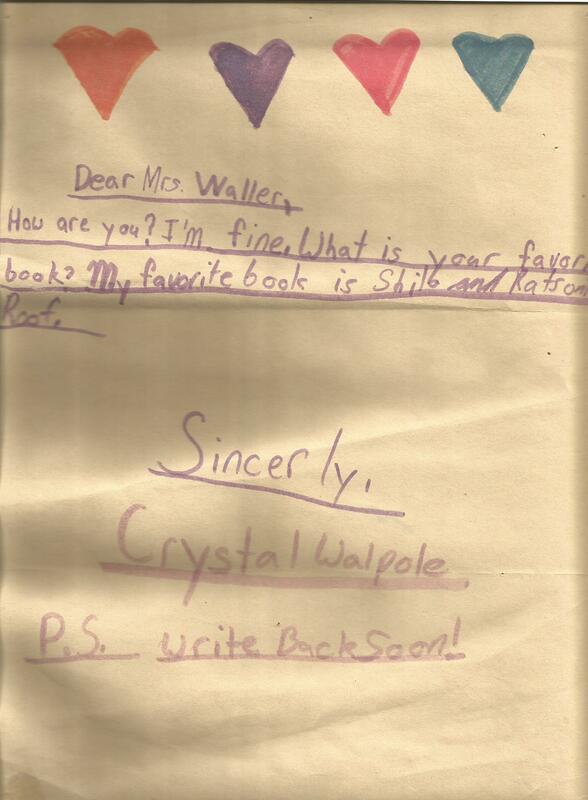 Crystal Walpole wrote asking what my favorite book was. She dropped the letter into her classroom’s mailbox. Krueger’s Wee Deliver postal service stamped and delivered it to the library. At the time, Crystal’s address was 683 Cocker Spaniel Drive in Sporting Dog, Texas. The library’s was 123 Yorkshire Terrier Avenue in Terrierville, Texas. Crystal’s favorite books were Shiloh by Phyllis Reynolds Naylor and Rats on the Roof by James Marshall. Those were my favorite books, too. 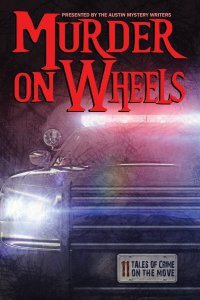 And Crystal Walpole is one of my favorite writers. The towns of Terrierville and Sporting Dog existed for a brief but happy time as part of Marion Independent School District in Marion, Texas. How nice that you kept this keepsake! It’s one of my prized possessions. How wonderful that you have this. What a fabulous piece of provenance, Kathy! Akin to the napkins scribbled on by great artists. My favourite part of this post, though has to be the addresses. It makes me want to write to my local government immediately and demand a change of address by deed poll. The school district’s mascot was the Bulldog, so the elementary school chose to use dog breeds for classroom addresses. I don’t know how long they used the Wee Deliver program, but I think it was fun for everyone–letter writers, mail carriers, postal workers, teachers, librarians and all. Especially this librarian. By the way, a friend wants the city to change Slaughter Lane to S.(outh) Laughter Lane. I think it would make drivers who see the sign feel better.